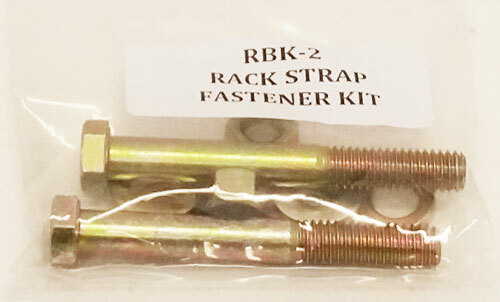 Bolt Kit For Rack-Strap RS2, RS3 And RS6. Racks made of 1-7/8 Inch O.D. round pipe. Bolt Kit for Rack-Strap RS2 Silver Unit. Copyright © 1989 - 2014 Rack-Strap, Inc. All rights reserved.